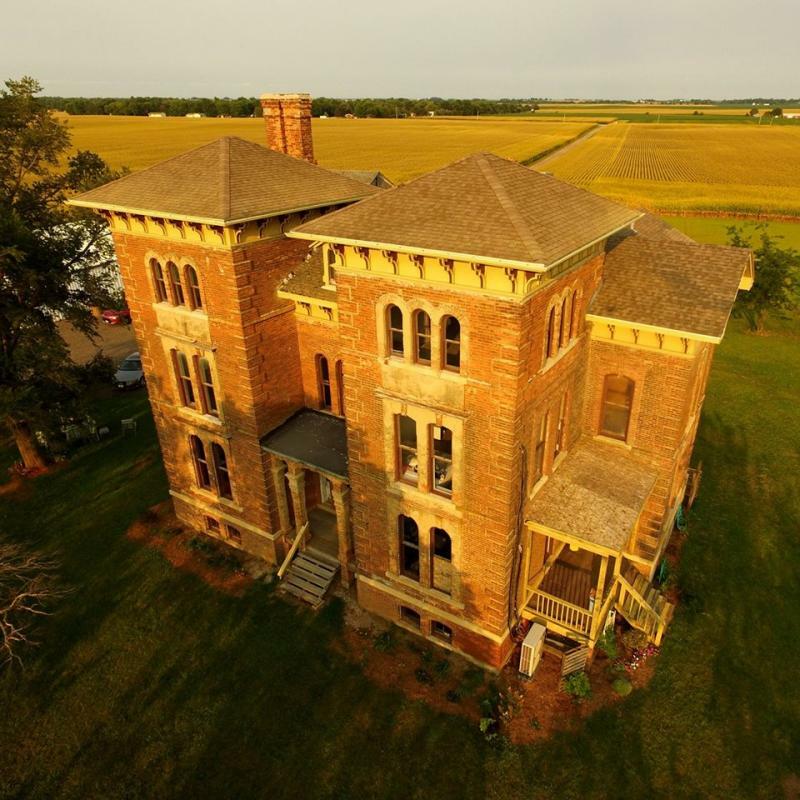 Historic Mansion aerial shot taken by a drone. Musicians and music fans will join together to support a local landmark with a new music series beginning October 1. The Duncan Manor Songwriter Series will support restoration of the Italianate-style mansion near Towanda. 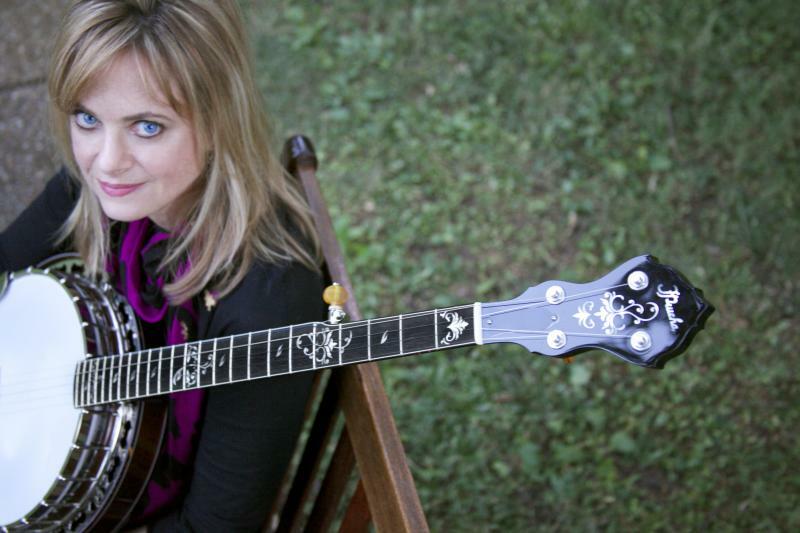 Karen Bridges, co-leader of the band Stone & Snow, put together the series of seven unplugged, intimate house concerts in the parlor of the manor featuring local and regional songwriters. "It's a piece of history and I think I'm a history nerd in that way," said Bridges. "The space itself is probably built for music. It's a wonderful space inside acoustically." Bridges told GLT's Mike McCurdy during Sound Ideas that the series came about after her band Stone & Snow played a couple of concerts at the manor. A Colorado transplant, manor owner Dave Howell jumped at the opportunity. "There's a lot of original music out there," said Howell. 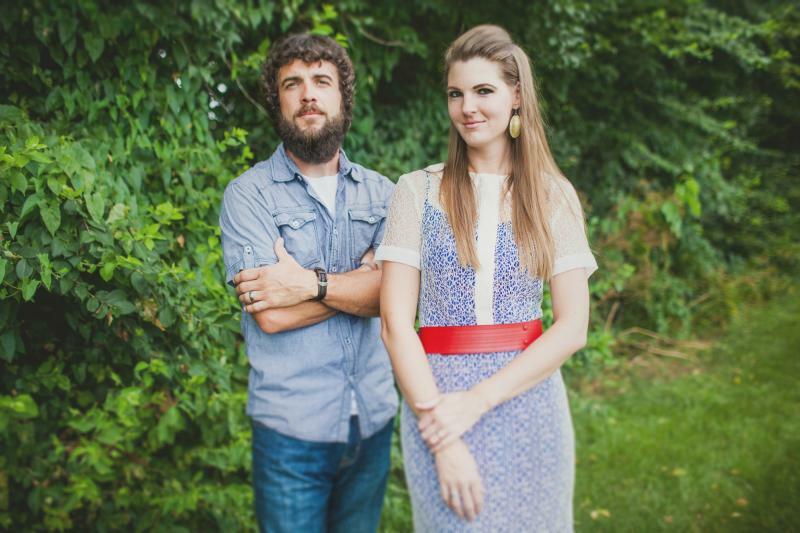 "When Karen approached us we listened to their stuff and were super excited to hear people writing their own music. That was big for us." A portion of the series will benefit the Duncan Manor 501(c)3 not-for-profit organization. Howell says some of the big items on the to-do list include chimneys, the roof, and porches. "It just seemed to made sense for me to help organize and bring some more artists in there that I know would sound great in there, who are accomplished songwriters, some local, some out of Illinois," said Bridges. Bridges's band Stone & Snow play in February. 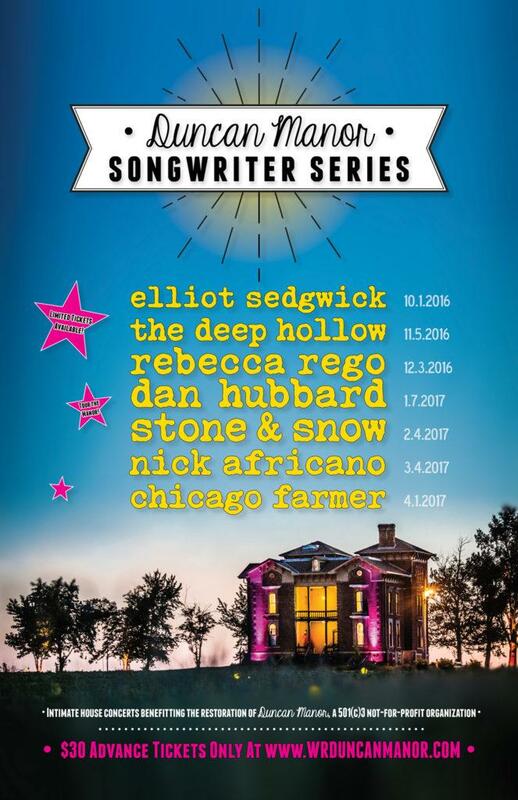 She's also scheduled to sing back up with Nick Africano, playing the manor on March 4. Bridges said there is also a visual art component coming together to accompany the songwriter series at the manor. Hear the full Sound Ideas interview with Bridges and Howell and hear music from some of the musicians participating in the songwriters series. 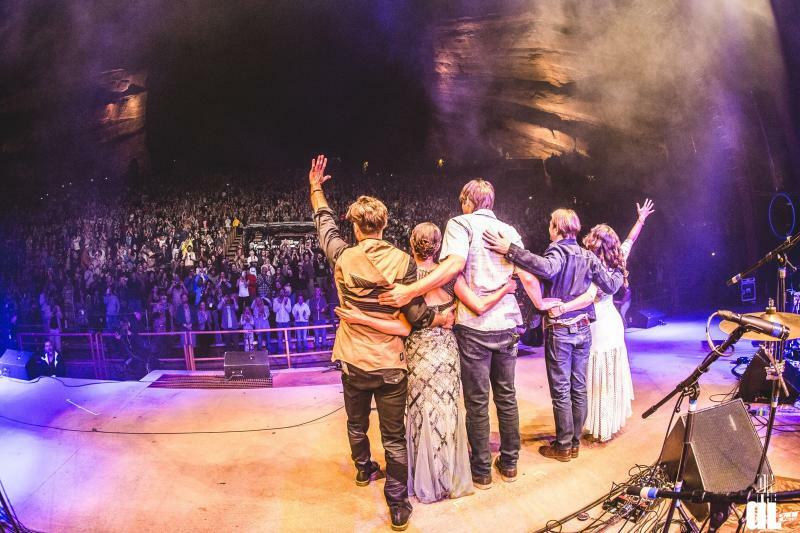 Transcendental Folk is a term often used to describe the music of Nederland, Colorado based Elephant Revival. The town of 1500 sits in the rarified hills just southwest of Boulder. 8200 feet above sea level, this mountain town with a mining past has a burgeoning music scene far surpassing its small population. Elephant Revival's fiddle player Bridget Law says the high profile artists utilizing the now legendary Caribou Ranch Recording Studio just outside Nederland helped the town become home to a concentrated group of talented musicians. 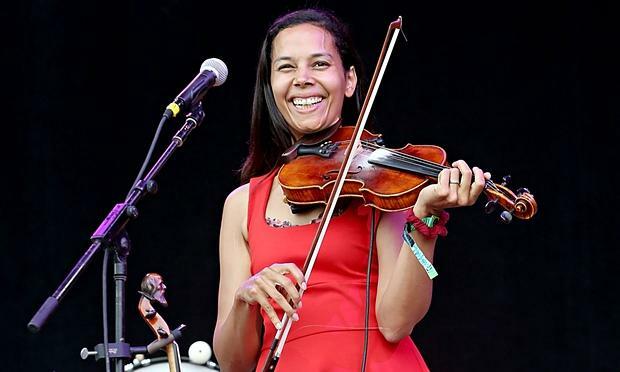 Rhiannon Giddens performed at Bloomington's Castle Theatre on September 18th. She's touring behind her new CD, "Tomorrow is My Turn," produced by T Bone Burnett. Giddens is the co-founder of The Carolina Chocolate Drops. Her first solo CD is a convincing collection of diverse American styles, from country to gospel to blues. From her home in southern Ireland, Giddens spoke with GLT's Bruce Bergethon. Just because you don’t see the acoustic duo Stone & Snow on stage every week, doesn’t mean the band isn’t working. They just got the results of their entry for NPR’s Tiny Desk Concert. (See their video entry below) Clint Thomson and Karen Bridges, who are the core of Stone & Snow, said they’re not too upset or surprised they weren't selected. There were 6,000 entries. The 150 year-old Duncan Manor just outside of Towanda near Route 66 will host a Handmade and Vintage Market this Labor Day weekend and the couple which owns the historic landmark wants to be able to host many more events in the future.